Why it matters: Apple’s not had the easiest of times recently, mostly due to disappointing demand for the latest iPhones. But the company might find consolation in the fact it’s been voted the world’s most-admired company for the 12th year in a row. The accolade comes from a Fortune survey of 3,750 business executives, directors, and analysts. It was sent out in October and November—before CEO Tim Cook warned that the company’s revenue would be lower than predicted for Q4. The Cupertino firm came out top in every one of the categories, which include innovation, social responsibility, quality of products/services, financial soundness, and people management. For the third consecutive year, Amazon took the number two spot behind Apple. Jeff Bezos’ giant beat Warren Buffett’s Berkshire Hathaway, Walt Disney, and Starbucks. The next three spots were taken by tech companies—Microsoft, Alphabet, and Netflix—with JPMorgan Chase and FedEx making up the rest of the list. The survey’s participants were also asked to name the most overrated and underrated CEOs. 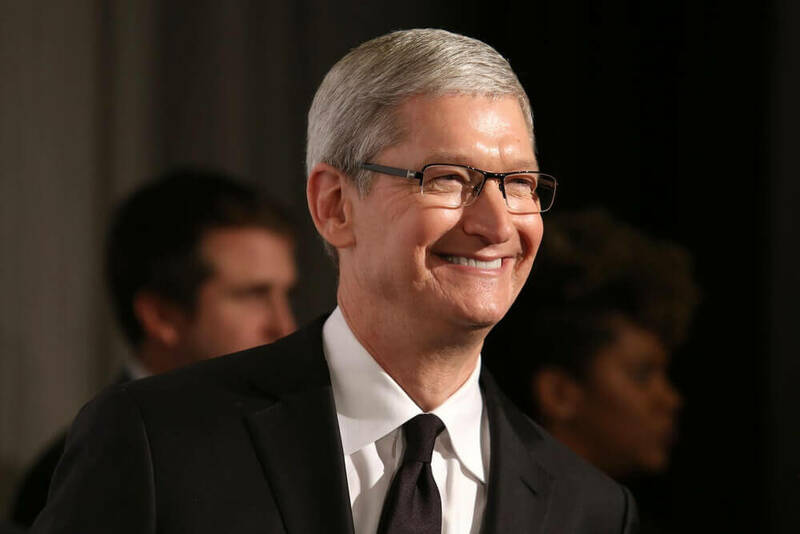 While his company might be the most admired, it seems more people (183) believe Tim Cook is overrated rather than underrated (79). Topping the underrated list was Microsoft's Satya Nadella with 217 votes, putting him ahead of Jeff Bezos in second place. The top overrated boss was Mark Zuckerberg, who also saw Facebook voted the least trusted company last year. His 653 votes beat Elon Musk’s 340 votes. With Apple and other smartphone giants not performing as well as expected recently, it might struggle to top the list for the thirteenth time this year. But that could depend on the reaction to the next iPhones.